After the results of OGAE Armenia were released late last week, the bookies’ favourite Duncan Laurence from The Netherlands saw himself atop the leaderboard just ahead of Italy’s Mahmood. But with two more clubs — that’s OGAE France and OGAE Albania — releasing their points, the tables have now turned. The Netherlands gets 12 points from Albania, marking its second set of douze points following Armenia’s gift last week. OGAE Albania also gave 10 points to Italy and 8 points to Switzerland’s Luca Hänni. Over in France it was a different story. The OGAE club hands its top points to Italy…but only gives The Netherlands seven points. They preferred both Swiss act Luca and Norwegian group KEiiNO to Duncan. Italy is in the lead with 32 points, closely followed by The Netherlands with 31 points. Right behind is Switzerland with 26 points. 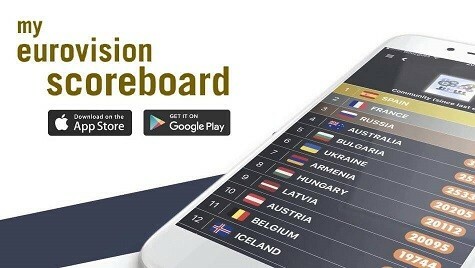 So far 17 countries have received points in the poll, leaving 24 countries with zero points. Countries that are not listed have yet to receive any points from voting clubs. Sweden is doing amazing. So glad that they are in the top five, they really deserve it. Don’t understand the fans that are bashing Sweden, since they are the only country that takes the ESC seriously, the other countries (including my own) don’t take Eurovision seriously. Plus, Sweden always has high quality and good performances. “Soldi” looks like the OGAE fanwank of the year, like “Mercy” last year. With a known bad NF live to boot, just like “Mercy”. is there an ogae spreadsheet to keep track of the voting like in the past years ? if so can someone link it please ? If Iceland is boring, then nothing is interesting. Here you have my poll to vote for you 5 favourite countries of Eurovision 2019. Iceland passes Sweden in betting odds and is now 4th favourite to win. They still not winning though..
OGAE Poll doesn’t really give any hint about what the actual results will be in May. They often have songs in their top 10 which don’t even make it to the final… Last year 2 of their top 10 didn’t advance. Like odds, it’s fun to follow though. Italy is one of the few countries that very rarely disapoints. They have the best national selection and some of the best artists in the continent. What is Sweden doing in TOP 5? That is the most truthful thing ever spoken by Alastair Campbell. …because of juries, yes, we know. Why say the Netherlands “only” received 7 points from France? That means it was the 4th favourite song out of 41! I mean, of course, the Netherlands is good but it is not that shocking that some people consider three songs to be better lol. I think I am going to release my own poll. Vote for your favourite “complaining comment” on this post. 🙂 Just kidding, I won’t be that needlessly cruel. But my thumbs up goes to “Atari 2600” for actually providing a useful statistic to support the complaint (scroll down; it’s at the bottom). Impressive. We know OGAE doesn’t mean anything, it’s just a funny thing people like to do before the contest. Also you have to take into account that way more people vote for their favorite songs during the semis and final than in here. For example, only 34 people voted in the OGAE Armenia vote and only 10 in the OGAE Albania vote. There will be much more votes in May. I mean, let’s think about this: 10 to Italy, sure, but only 2 for Greece and 1 for North Macedonia? If I know that Albanian televote, by golly, those numbers will be different when the shows come around. (Although the Albanian televote didn’t show NM much love last year). It’s fun of course. However half of the OGAE top 10 won’t reach it. Switzerland won’t reach top 5. Italy will be OGAE favourite but once again not win. I can see it reach top 5 however. And Russia will probably be top 5. Netherlands, Sweden will be top 5 to.. Surprised Serbia is not on list….I think its a very underrated song. French Televote almost never vote for the most “Western songs” at Esc tho. That’s a proper analysis! And I suppose the numbers never lie. Rhythm Inside is a very moody kind of song, so I feel like it fits with the stereotypical “French aesthetic.” The French jury and televotes are always so enjoyably at odds – the televote goes for the weirder stuff and the jury goes for the more conventional stuff. (Save for the 12’s – they’ve been unanimous on the last two songs they gave 12 to, and rightfully so). @Joe: Excatly. French juries are very vanilla, while the televote is more open to fun/unusual/ethnic entries, in languages other than English. French have a very “uncommon” relation with the English language. Btw I think they choose really well actually! I would have been worried instead. Last year OGAE France didn’t even put Cyprus as a qualifier and finished 26th overall. Just noticed, are OGAE France sexists ? Only one solo women and at 9th place. Or solo female acts are just not very good this year. Of course Albania gave zero to Serbia. Ridiculous. honey bunny, not at all. this time Italy has got a real good singer and artist. I would rather say the best one of this year’s esc…. his album is great and his voice is just beautiful. his music is so modern…. Italy=Sweden, always overrated no matter what. Only difference is that Italy actually deserves it. and again children without taste in music, who are using spotify 24/7 giving dislike to the proper opinion. Mahmood can’t sing and can’t perform, he is one of the worse ones. It’s eurovision, nobody cares about other songs of artists and his voice is like dying cammel. It is modern only in a bad way. Just an incident. OGAE are so predictable that if it were some betting odds on their winner I would bet 10,000 € on the Netherlands without any fear. Slovenia is on the twelfth place? I’m so happy to see that them not underrated. And we should be happy not on their top 10 because we can be sure that at least half of it will not be on the final top 10 in may. That’s why I tell them to slow down on Portugal please. Duncan and Mahmood are actually my top 2, so I’m really concerned, because everybody always says how these OGAE polls never predict the outcome lmao. But can this please happen this year? I really want one of them to win (or Hatari). Duncan, Mahmood and Hatari are all in my current top 5 too. I’d gladly take any of them winning. My favorites usually never win, though, so I’m worried. Same, but in 2017 my top 2 were Portugal and Bulgaria… I think you can imagine how happy I was after the contest. And besides ranking Moldova low, the remainder of the top ten got close to theirs. So, brilliant? No. But not super-duper off the money. People shouldn’t take these polls too seriously. 6 of the 10 countries in the top 10 of the OGAE poll last year failed to place in the top 10 (2 of which didn’t even qualify).